Currently in early beta, Steam Link Anywhere is available on the discontinued Steam Link hardware or through the Steam Link app. When installed, the app essentially makes your game library available to you anywhere. That means you can stream your favorite games from your primary computer to another computer, Android device, or Android TV set-top box. (Apple is still blocking the Steam app, so you won’t be able to play games on iOS or Apple TV for the time being.) Previously, the app only worked within a person’s home on machines connected to the same network. The only requirements for Steam Link Anywhere to work — other than having the app installed on both your home and remote machines — are a good upload speed from your host computer and strong network connection for the device you’re playing on. 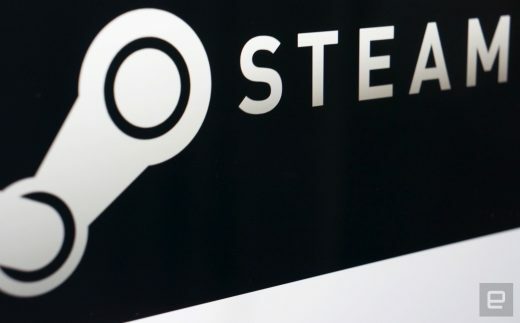 Steam Link Anywhere, available in the Steam Link app’s beta build 688, is arriving just before of GDC 2019, where a number of competitors are expected to show off similar technology. Google has been teasing a major gaming announcement set for March 19th, which is believed to be a cloud-based game streaming service using the company’s Project Stream technology. Microsoft has also been working on its own streaming game platform called Project xCloud and recently showed off a demo of the tech in action. If the rush to market from three major players is any indication, we should soon have several choices for a “Netflix of Gaming” style service.